Congrats on the sale of this wonderful work of art, Carol. Very striking! As always Carol, great work! Congrats on the sale! Thanks for your lovely comment, Susan. Beautiful Carol, congrats on sale! Thank you very much, Jennie. One of my favorites so far..stunning! Congratulations! Lovely work, lovely sale, congratulations, Carol. 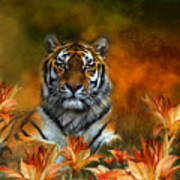 Lvely work, lovely sale, congratulations, Carol. What a beauty! Congratulations on its sale, Carol. Thanks so very much, Joyce. Thank you very much, Angelina. So beautiful, Carol! Congrats on your sale!! Well done! And funny. I like the pun. The background is outstanding as well. Very nice composition and idea! 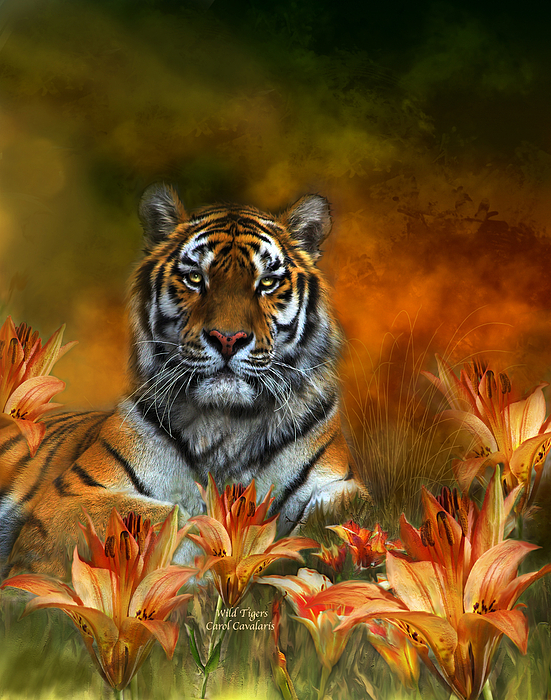 Tiger and tiger lilies, growing wild in the sun. 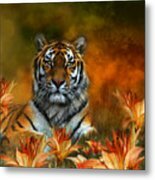 Wild Tigers prose by Carol Cavalaris. 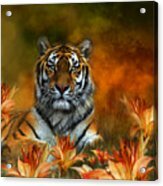 Artwork of a Bengal tiger in a field of tiger lilies, from the 'Spirit Of The Wild' Collection of original art by Carol Cavalaris.